What issues are raised by filming in conflict zones? 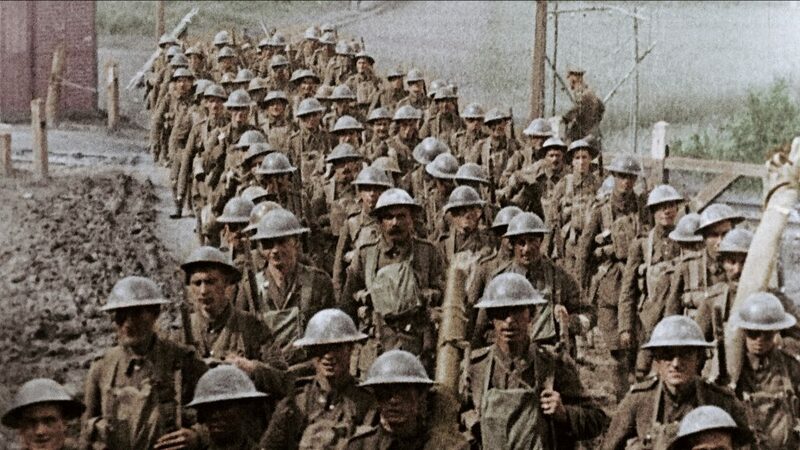 Since its inception in 1939, the NFB has produced countless films on the subject of war, from its reports on the battlefields of Europe during World War II to documentaries about the front lines of the Vietnam War, famines in Africa, the Balkan genocides, and the struggle against ISIS. The common thread running through all these works: How do you go about filming a war? How close does death have to come to make a camera operator’s hand unsteady? These words open the educational short film Headline Hunters, produced by the NFB in 1945. Narrated by Tommy Tweed and Lorne Greene (the star of the Bonanza and Battlestar Galactica series), this defence of war journalism and military PR was utterly in keeping with the existing mandate of the NFB, which had been created six years earlier. Back then, the NFB supported the war effort with various forms of patriotic reporting—and in that historic year when the Axis powers in Rome, Berlin, and Tokyo surrendered, what better way to demonstrate the role (and, above all, the effectiveness and heroism) of the Fourth Estate in war zones? But let’s be honest. The “spectacle” of war owes much to the media. Military-industrial technology and audiovisual technology alike have undergone astonishing advances over the years, advances that have in turn vastly changed both how we “make” war and how we document, record, recreate, and even create it. For instance, we can now enhance the human element in war through virtual reality. “VR allows us to react to our own story. 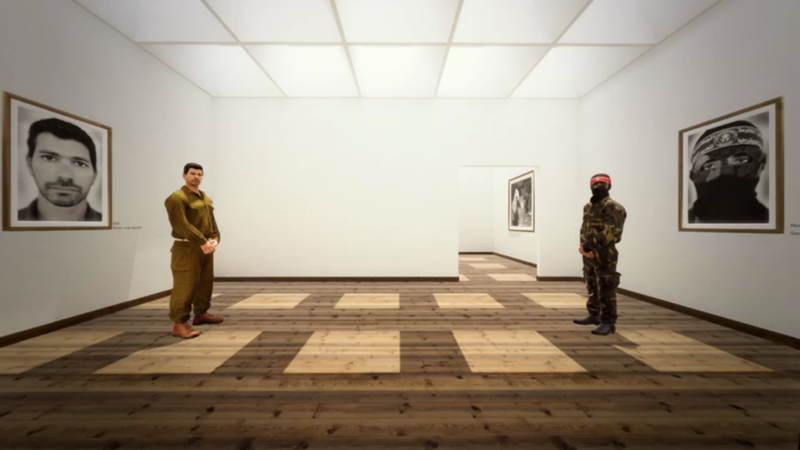 But I would still never show actual war in VR, because it could cause some serious damage and trauma,” explains Karim Ben Khelifa, a war photographer (who has covered conflicts ever since he made his own way to the former Yugoslavia) and the creator of the immersive installation The Enemy. Today, in the era of algorithm-guided drones and so-called “clean wars,” conflict zones still overflow with film crews, reporters, and documentarians from around the world who make the battleground and its issues the focus of their work. 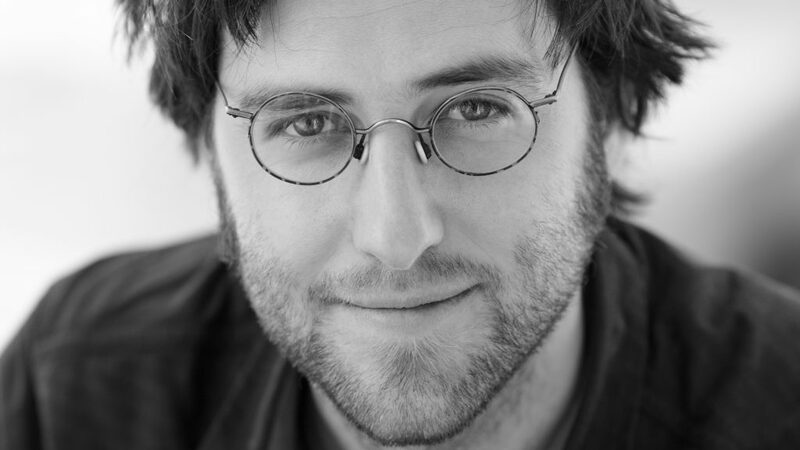 Montreal filmmaker Julien Fréchette is one of them. To film My War with cinematographer Arnaud Bouquet, he exposed himself to the risks of the battlefield, but he also made a less spectacular observation: war is mostly about the long, anxious periods of calm between the explosions, and the moments of introspection that ensue. In 2014, as armed ISIS groups were attacking Mosul in Iraq, Fréchette left for Iraqi Kurdistan. With funding from the Conseil des arts, SODEC, and RDI, he directed the documentary Kurdistan, by will or by force. While this conflict was raging, he learned that in both Rojava (Syrian Kurdistan) and Iraq, Western fighters were joining “People’s Protection Units” (the YPG), the armed branch of Syria’s Democratic Union Party, which Turkey viewed as the Syrian Branch of the Kurdistan Workers’ Party (PKK) that was fighting against ISIS, among others. 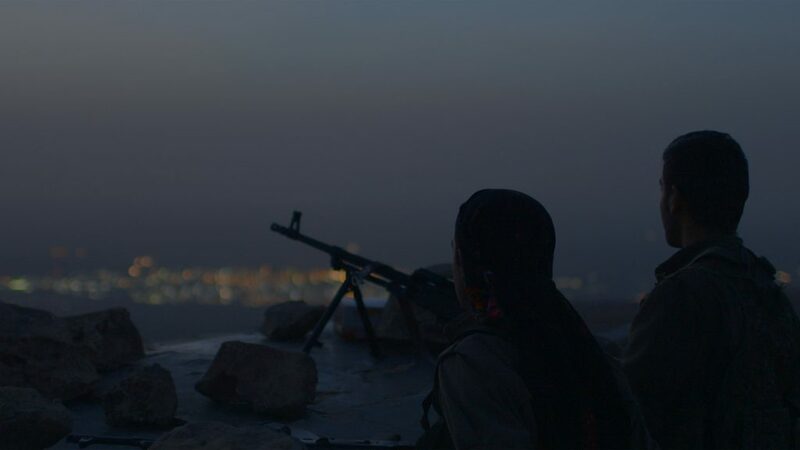 In fact, nearly 40 percent of their forces were made up of women, as shown in director Zaynê Akyol’s 2016 documentary, Gulîstan, Land of Roses. 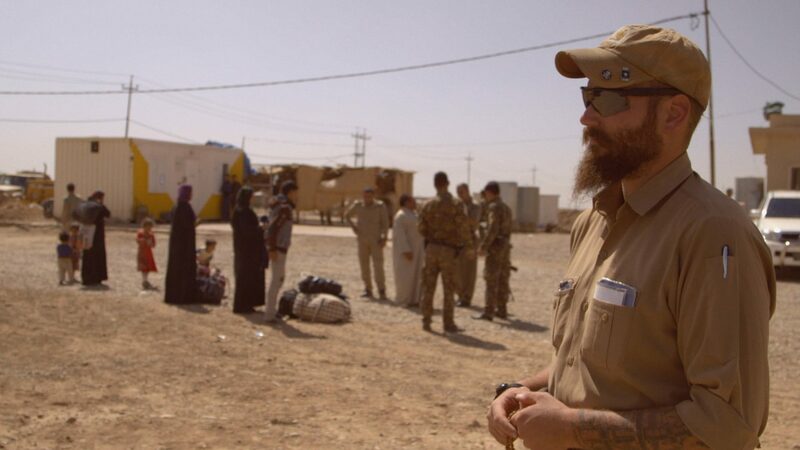 In 2017, Fréchette—whose 2012 film, Silence Is Gold, documented the battle fought by author Alain Deneault and his publisher, Écosociété, against mining giants Barrick Gold and Banro after the book Noir Canada (2008) was published—decided to return to Kurdistan to cover the Western fighters joining the Kurdish resistance and anti-ISIS militias. I had submitted two or three film ideas to the NFB, and then I decided to revisit the subject of foreign combatants. I also wanted to follow through on my own reflections after my return from Kurdistan. It was my first experience with human misery. I felt powerless. All that injustice did nothing but produce trauma. I wanted to see if “taking action” and “following through” could alleviate that sense of powerlessness. 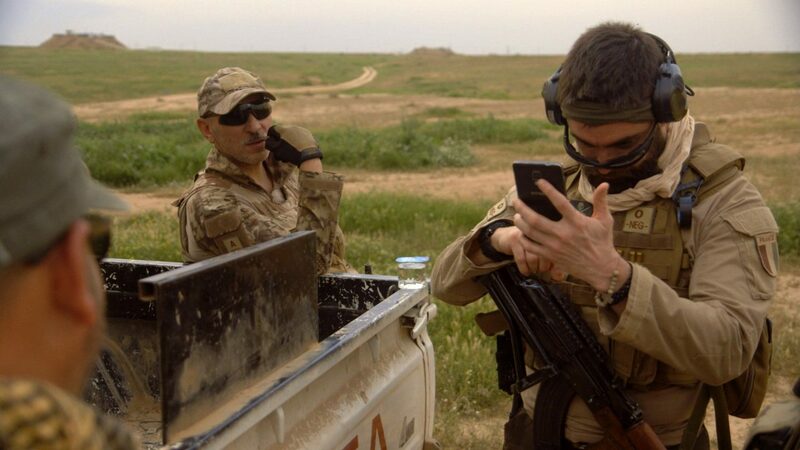 Fréchette took to social networks to reconnect with a Western fighter he’d met in Kurdistan, and he met two others on Facebook: British Columbia native Hanna Böhman and “Wali,” a Quebecer and former sharpshooter with the Royal 22e Régiment. 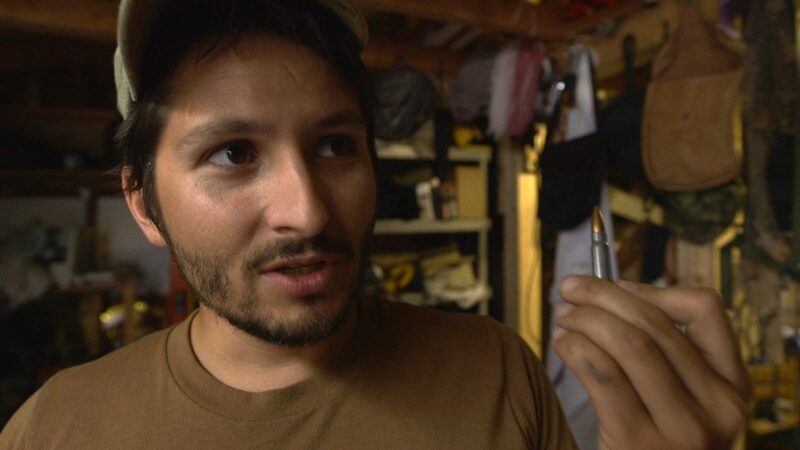 Coming soon on NFB.ca : My War will be available online for free as of Feb. 28. Fréchette then headed into the field, employing a process he describes in French as “cinéma d’accompagnement.” Armed only with a camera, a microphone, and a boom, without even a bulletproof vest, and accompanied by Bouquet (and occasionally Khaled Sulaiman, a Kurdish-Quebecer friend who acted as an interpreter), he explored the battleground on two occasions, for a total of four weeks. During his first trip to Kurdistan in 2014, a sniper shot at him in the middle of the night when he went out to relieve himself. This time, Fréchette only got close to the action once, during the last day of filming. Once it begins, war just becomes the normal state of affairs. It starts from the top down, and then hate fans the flames of hate. To be honest, I wasn’t tempted to make a career of it. There was bombing on the last day, but nobody panicked, so there was no ripple effect. Fréchette’s documentary opens with a funeral scene back home, immediately conveying that not only are the human losses very real, but they serve to both justify the action and condemn it. Most of my own filming took place in Iraq. Hanna’s videos provide insight into what’s going on in Syria. Turkey is breathing new life into the conflict through its war with the Kurds. When we were in Qamishli [in Syrian Kurdistan], we saw and heard Turks bombing the Kurdish city. But absolutely nowhere in the media did we hear that Turkey was waging an internal war against the Kurds. Hanna had become such a friend of the Kurds that she had also become an enemy of the Turks. While “Wali” had had previous experience on the battlefield (he states in My War that “I’m not a soldier anymore, but I still feel like one”), Hanna Böhman was an unusual case: a 40-something female civilian who decides to join the militias in order to participate in the fight against ISIS. She explains that her family took her “choice” very badly, especially her daughter, who thought she’d gone crazy. During a moment of calm in My War, Thierry confides that “ISIS is an excuse. You go [to fight] to fill a void, to find something at that moment in your life.” He then observes that this war has attracted all sorts of social misfits, pathological liars, and psychopaths. Throughout the film, one gets the impression that Fréchette is recording not so much the conflict but the paradoxes arising out of a complex situation—circumstances in which people feel they can do something useful, even if they sometimes have to go against their political convictions. 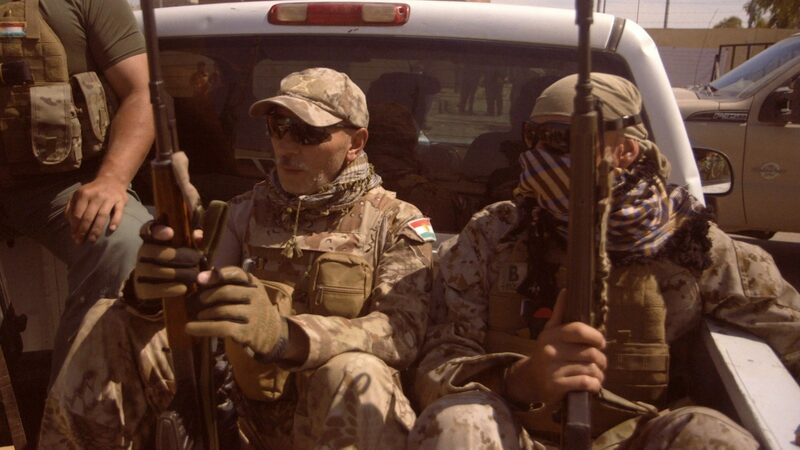 Some former US soldiers are overtly pro-Trump, but they go to Kurdistan and join organizations that have philosophies that are completely different from their own. Some of them end up fighting alongside extreme left-wing groups like the YPG. Fréchette is certain that Canadian authorities are well aware that former soldiers and civilians are going overseas. But once on the ground, many of these Western fighters are surprised—and sometimes frustrated—to learn that their desire for action doesn’t always line up with the wishes of the anti-ISIS militias. Fréchette feels that the Westerners aren’t really making a difference on the ground, and their participation often poses problems. NFB producer Colette Loumède is poised and eloquent on the phone. She’s the person who got My War made, but she also produced Gulîstan, Land of Roses, her first project to be filmed in a conflict zone. For her, the appeal of working on and guiding Fréchette’s film didn’t have anything to do with the thought of ending up in a war zone. “That’s just the drama of the setting; the characters are the true subject,” she explains, stressing that she was pleased with Fréchette’s approach and angle. We tried to avoid sensationalism and propaganda. The first expense in the budget was extra insurance. But the real insurance policy is to not put yourself in danger in the first place. Loumède feels it’s important to understand that film crews are not alone in the field. Filming in a conflict zone doesn’t always involve crouching behind a wall and risking one’s life. She strongly believes that you can do good work and cover important stories without being suicidal. This documentary from the Protection Force series, follows Canadian peacekeepers trying to protect civilians in war-torn Bosnia. Watch an investigative documentary that follows UN Peacekeepers in the Democratic Republic of Congo who are trying to contain violence and prevent anarchy in the region. Building an airplane from A to Z is showcased in this documentary from the Perspective TV Series. Take a wild ride with Manitoban Bob Diemert, a big dreamer who sets out to build the world’s next great fighter plane. Unconcerned with rules or regulations, Bob won’t stop until he flies. Discover the NFB's WWII-era propaganda effort, and get ideas for teaching about Canadian identity and nationhood to secondary students. Symbolic thinking is an important skill. Through this beautiful and moving story, students discover how simple objects such as birds or shoes can be used symbolically to represent civil war and learn about the lasting effects of this type of conflict.